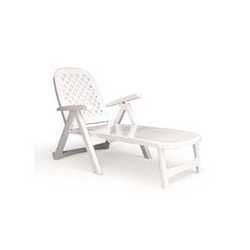 Tressi Grand Soleil plastic sun loungers for beaches, pools, lakes, resorts, farmhouses, hotels, etc. at the best value for money. Available Colours: GREEN and WHITE. …green washable fabric, removable base, will fit 3 small yorkies! Folds into own travel bag.